Come and see us at Costco Oldham on 19th April! Latics Driver Training will be at this weekend’s Automotive Trade Fair at Costco in Oldham. The event runs from 11am to 4pm. Staff and instructors will be on hand to answer any questions you may have about learning to drive. You’ll also have the opportunity to try your hand at a mock driving theory test and Hazard Perception Test. Leaflets will be available on all aspects of Road Safety, along with plenty of freebies! Why not book your first driving lesson for just £10 whilst you’re there? We will also be running a unique promotion this weekend, which will entitle Trade Fair visitors to our best deal on block bookings yet – don’t miss it! Full details of all our driving courses will be available, including our innovative Head Start Programme, where those aged 16 can learn basic driving skills in a safe environment before getting out on the roads when they turn 17. We look forward to seeing you there – entrance to Costco is FREE to members and their visitors. 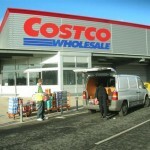 Details, opening times and directions to Costco can be found here.